It is broadly similar to the old Mells in Frome,Somerset which burned down in 1917. Just looking for clues in the photos, there are quite a few tropical/palm tree looking plants in the gardens, this would suggest a location in the South of England as these plants wouldn't grow well further North. This ties I with the locations you have been able to confirm for the other photos in the album. You get trees like that on the Clyde riviera, we have one in our garden. No idea which house that is though I'm afraid. The large stones on the beach should help rule out some areas. What is that they are moving in the background, too big for a bathing hut isn't it? Have you tried English Heritage/Historic England/National Trust and the like? I believe they have photo archives, one of their archivists may be able to help. Lovely photos by the way. Pebbled beach says Brighton or somewhere in that area to me. 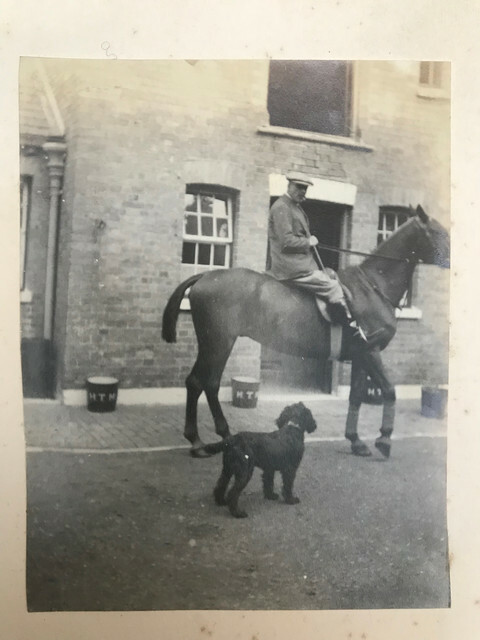 I have been looking and looking through the album for any further clues. 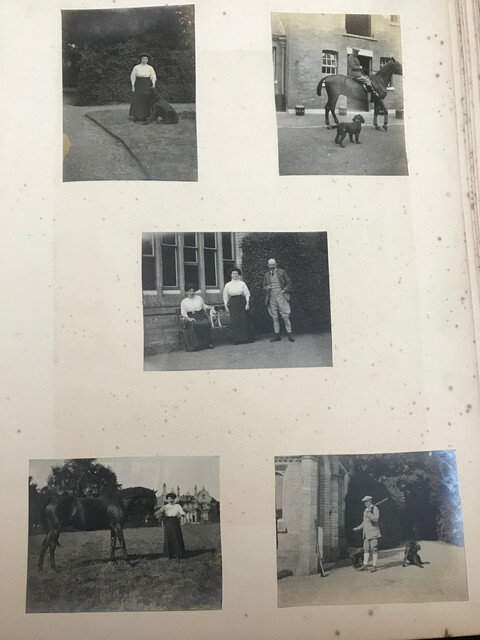 Straight after the photos of the unidentified album appears a page showing another unidentified country house. It is a different house as its more gothic in look and has an extra level. However, a clue is provided with the initials HTM on the buckets. Presumably this house is somehow connected (whether by family or locality). 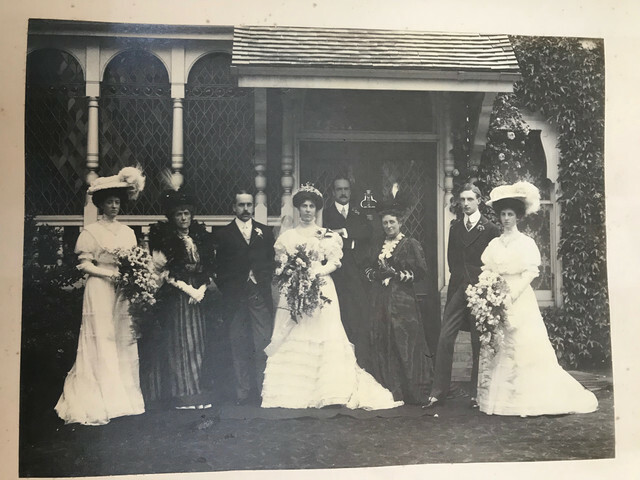 There is also the wedding photo of the woman who most appears in the album, but not a great deal to identify in the photo. 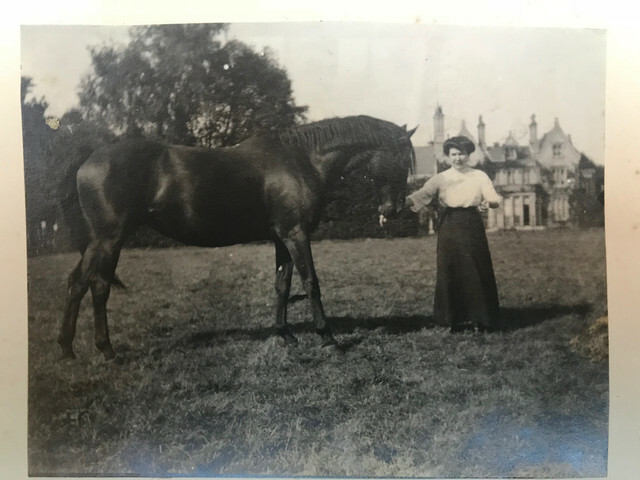 It looks to me that the house behind the lady with horse has dutch gables on the front elevation. I hope it's the right term then- a memory left over from all the Cazza59 searches!